Founded in 1990, Oilwell Supply is one of Asia Pacific’s premier sources for products and services to the oil field industry. The Company adds value as an exclusive master distributor of superior oil field products by maintaining a well-stocked supply of a large number of other in-demand oil field products. 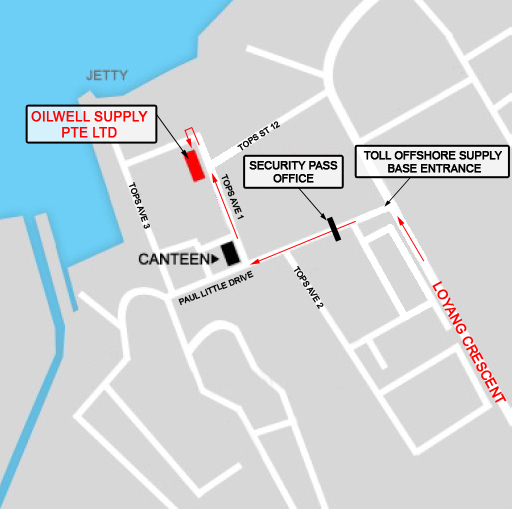 Headquarters and main operations are located at the Loyang Offshore Supply Base in Singapore. Additional marketing and administrative offices are located in Arlington, Texas, USA. Other stocking points are located in Indonesia, Malaysia, China, Brunei and Thailand. The combined Oil & Gas related experience level of the personnel at Oilwell Supply is in excess of eighty years. Oilwell Supply serves the Asia Pacific petroleum industry by maintaining a constant focus on the stocking, sales and service of a wide range of premium oil field product lines. The Management of Oilwell Supply has been involved with oilfield equipment sales and service in the Asia Pacific Region for over thirty years. Members of this team have been closely involved in this community; having previously held such offices as Chairman Society of Petroleum Engineers, President Singapore Petroleum Club and Director SACAC. Oilwell Supply’s mission is to provide our customers with quality products and services at competitive pricing to meet their time-critical needs. We recognize that the needs of our customers must be anticipated, and met, in a timely and accurate manner. We further acknowledge our responsibility and commitment to resolve any variances at the first known opportunity. We will combine our oilfield experience and product knowledge with the dedication to continuously improve our business processes so that we are viewed by our customers as their Vendor of choice.